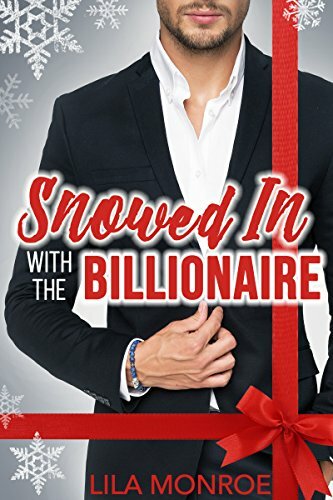 Review – Snowed In with the Billionaire by Lila Monroe – 5 Stars!!! Paige has landed an opportunity to prove her party planning skills, this could be the career break she has been waiting for. What could possibly go wrong? This sweet Christmas novella was perfect for me. I was on the look for a festive read and found this little beauty. The story is creative and captivating and was an easy flowing read that I really enjoyed. I found the story didn’t lack depth or detail and wasn’t rushed. Paige is funny, courageous, and smart; she knew her job and she knew it well. She was a lovable and enjoyable character who had a way with words. It was hard not to find yourself laughing at her dilemma’s or mishaps. When we first meet Ace Carmichael he comes across self assured and a little arrogant. However, as the story develops we are introduced to a more complex and intriguing man who finds himself opening, up to the woman he hired to throw him a party. Their story may start as a little fun, however its clear how much Paige brought out the best in Ace and he too helped her to be more adventurous. They brought out the beauty and happiness in each other. Paige was no easy win and Ace had to pursue Paige to get what he wanted; watching the chase was both sweet and funny. I loved this sweet Christmas novella and look forward to reading more from Lila Monroe. If you love romance, humour and Christmas, this novella is for you.